As a referee it’s quite difficult to stay focused for 90 minutes. Just as you are watching a player being challenged, a coach yells, the crowd sings and you’ll hear another player shouting he got punched. Too much information all at once. Avoid negative thoughts and feelings. You can have an external focus and try to see what’s happening on the pitch. But your focus can also be internal. You’ll over-analyze how you performed while you’re still refereeing. Or you keep thinking about that penalty kick that you did (not) give. Stay away from that. Be task rather than outcome oriented. As a referee you don’t need to win games, but you need to realise that every thing you decide will have a result (the outcome). Ignore what the result of your actions could be. As a referee you need to follow the game and decide whether a goal is scored, a foul was made and if you need to give a card. Just a few basic tasks. But if you focus on what tasks you need to do, you’ll make better decisions. Use cue words. You don’t have to speak those words out loud, but recite key words or phrases in your mind. Say “focus” constantly when you realize you were distracted. Or when you’re positioning is not well, remind yourself by saying “diagonal” or “keep close to play”. Make yourself physically comfortable. If you train well and you’re physically fit, you’ll definitely are more at ease during your games. You don’t have to worry about being unable to follow play. Recharge your batteries in between plays. This tip is in line with making yourself physically comfortable. It’s not just training prior to the game that helps. You should also slightly relax in between plays. Keep in mind that this relaxing means you breath normally, but don’t start focusing on the fans or so. Those are external distractions that you should not focus on. Add a consistent routine to your refereeing. Put cards in the same pockets every time. Isolate a player before you book him. If you do things always in the same way, it will go easier and you won’t loose focus because something is different. Focus on your breathing. Pay careful attention to each inhalation and exhalation. You’ll notice the air flow in and out and you’ll get more relaxed, which help you concentrate. 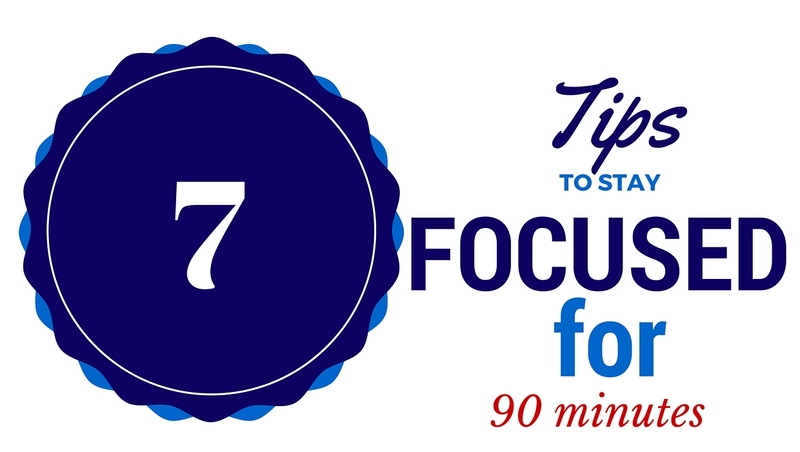 That are 7 tips you can do during the game to stay focused for 90 minutes. But what can you do at home? Read more about concentration as match preparation. Do you have any tips on how you stay focused during the game? Share your tip in the comments below. 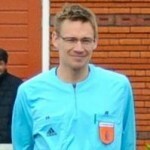 Want to stay updated with the latest referee news? Subscribe to the newsletter. 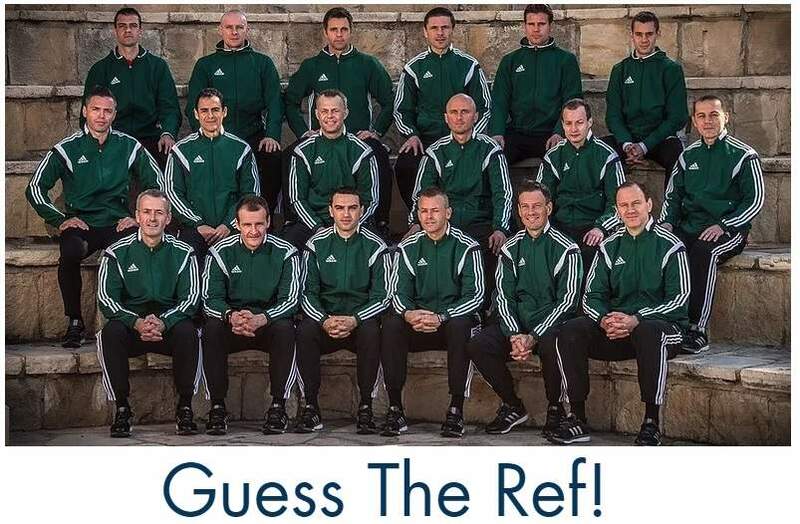 So concrete and confidence building to any referee. Couple with “Law 18” The Common Sense, these tips are so encouraging. Thanks Akena Patrick. I hope the tips will help you. Any suggestion from you to stay focused? Great. Hopefully you’ll find more helpful articles later this month. Sometimes after the restart for the 2nd half I keep telling myself e.g.blues kicking downhill or yellows towards the car park end for around the first 10 minutes or so . It just keeps me focused after changing ends. the tips were very helpful for my games. That’s good to hear, Awoyinka. I hope you’ll have a wonderful career. the ball was put in as a cross in an open play and on the attempt to save the goalkeeper was hit by a striker on the head with a near and the keeper went down on the ground.the referee allowed the play to continue and the ball was cleared out of the box to the opponent who then put that ball in the net and the goal was allowed …help on what could have been done or the referee was spot on about the decision? Was he hit as a foul or did the ball hit the goalkeeper? If there was a foul, the goal needs to be disallowed. Otherwise you don’t want to continue play with a serious head injury, no matter if a foul was made. In this example there’s no time/duration mentioned, but here are some thoughts. But if a ball gets kicked in the goalie’s face, it bounces back in less then a second to a position just outside the box and the attacker kicks it, then you can’t anticipate on that and as referee you’ll allow the goal. But if it takes a while before the shot comes, the ball is out of the penalty area and the goalie is still on the ground, it’s smart to whistle and ask for medical help. If you communicate clearly it’s a head injury, usually players will understand. Good tips, Jan – thanks for sharing! If I’m the center referee, I find that doing a good, complete pre-game with my Assistants also helps me “de-stress” so to speak. The rhythm this helps create within the ref team early in the match helps me concentrate and focus better….I know and feel we’re all “on the same page”. Personally, I have greater focus challenges when I’m the Assistant Referee since play can easily switch to the other half and “lull” you. In that case, everything you suggest goes double! Makes sense indeed. Same for most of my games. They are quite difficult sometimes.